Cultural heritage, in both its tangible and intangible forms, embodies, therefore, all the aspects of a community’s past and present that are considered meaningful for defining its identity, and valuable to pass on to future generations. Engaging communities is about strengthening their ability to participate meaningfully in the process of making conservation and safeguarding for their tangible and Intangible culture heritage. It can also be environmentally helpful and as community friendly as possible. Enjoy your holiday for 17 days in Myanmar from south to north including Yangon, Bagan, Mandalay, Pyin Oo lwin, Hsipaw, Kalaw and Inle lake. The best travel package in Myanmar for your long holiday. All about the The best Travel to Myanmar. Are you seeking the best travel package to Myanmar? This holiday package will introduce you to Myanmar, newly destination and its culture, nature, traditional and history all over Myanmar. We are sure you will be not frustrated, and you will have amazing experiences of Myanmar and its several destinations and local communities. In this program, you will explore to Yangon, Bagan, Mandalay, PyinOoLwin, Hsipaw, Kalaw, Inle. This tour package includes all land transportation, domestic flight, boat trip, bus ticket, hotel accommodation, entrance fees and tour guide service. This program accommodated to the International Travelers who interest to all main cities of Myanmar. One night at tribe village on Day 13. Transportation by private air-con car as mentioned in itineraries. Guide services (Station) for 15 days, No guide service on Day 5 and Day 17. On your arrival at Yangon airport, welcome by our English speaking guide and he/she will lead you to explore the Great city of Yangon by car. Visit Sule Pagoda which is said to have been built approximately 2500 years ago, and you can also explore the city centre where many colonial buildings still exist. Continue visit to ChaukHtatGyi Pagoda; a huge image of reclining Buddha and the Shwedagon Pagoda, a must see on any visit to Yangon and is the most sacred location in the whole of Myanmar, built to house eight hair relics of the Buddha. Overnight will be at the hotel in Yangon. In the morning pick up at your hotel and visit Dala village crossing the river by ferry boat to have local experiences. Take a trishaw ride to visit the Dala and see the recycling house and goods shop. You may have a chance to learn about local life style. Then back to Yangon and take a ride on Yangon’s circular train in the afternoon. Overnight will be at the hotel in Yangon. After breakfast, transfer to Yangon airport flight for Bagan. On arrival at Bagan, enjoy a full day sightseeing tour in Bagan. Visit Shwezigon Pagoda, built by King Anawrahta in the early 11th century as the first Buddhist building, Ananda Temple which has four Buddha Images in standing position and reliefs depicting the Buddha from his birth to his Enlightenment. Continue to visit Thatbyinnyu Temple, the highest white stucco building in Bagan, Htilominlo Temple, DhamanyangyiBagan’s most massive temple, Mahuha Temple built by King Manuhar in Mon Style, MyinkabarGubyaukgyi Temple well- known for its wall painting depicting scenes from the Jataka. In the evening enjoy sunset view at the selected place by your guide. Overnight will be at the hotel in Bagan. After having your breakfast, our tour guide will take you to Mt. Popa that can be spent like a half day trip. Mt. Popa is an extinct volcano and home of Myanmar’s legendary 37 Nats or spirits. It is an important place for local pilgrims, and there is a temple complex on this holy mountain. You may see many local people who sell some roots, fruits and some parts of the animal which are used for medical. Then back to Bagan and afternoon free time. In the evening you will have short boat trip in the Ayeyarwaddy River for a beautiful sunset. Overnight will be at the hotel in Bagan. Today you will have local boat trip from Bagan to Mandalay. Early morning you will be transferred to the jetty and start your boat trip. You can see the local life of bathing at some rural villages and beautiful scenery along the Ayeyarwaddy River. On arrival to Mandalay jetty, the private car will pick you up and drive to your hotel. Today you will have fantastic boat trip and freedom from the hustle and bustle life without a tour guide. Overnight will be at the hotel in Mandalay. Pick up at your hotel and transfer to jetty for a boat trip to Mingun. Visit the rural village area, a home to the world’s largest un-cracked ringing bell, the biggest brick base Pathodawgyi Pagoda and Myatheindan Pagoda with a notable architectural style modelled. Then come back to Mandalay and visit the cultural heritage sites of Mandalay including Royal Palace, Golden Monastery, Kuthodaw Pagoda and Mandalay hill for sunset view. Overnight will be at the hotel in Mandalay. Today your travel plan is to visit the famous “Three Ancient Cities” of Innwa (Ava) – Amarapura – Sagaing. Drive to Sagaing where you can enjoy the panoramic view at the top of the Hill cover with numerous white and gold pagodas and monasteries. Then, Silversmiths, Myanmar traditional workshop will be observed and afterwards proceed to Ava crossing the small river by boat. You will visit historical sights of Ava (Innwa) such as MahaAungmyabonsan Monastery well known as brick monastery built in early 19th century; Nan Myint Tower will know as the “leaning tower of Inwa,” Bargayar Teak Monastery with a peaceful atmosphere and beautiful architecture style by traditional horse-cart. After that, you will continue to Amarapura where you can enjoy the sunset on the longest teak bridge, OoBein and silk weaving factory in Amarapura. Overnight will be at the hotel in Mandalay. Today we will visit PyinOoLwin, the hill station city where many colonial buildings are located with many historical backgrounds. PyinOoLwin is once the capital of British Burma, and 67 km far away from Mandalay. You will enjoy the beautiful scenery, friendly people, amazing experience, and even good food. Its picturesque views are breathtaking. Overnight will be at the hotel in PyinOo Lwin. This morning you will be transferred to the rail station and take a train ride over famous Gokehteik Viaduct. THe whole train ride will take about 4 hours. The bridge itself is in a beautiful location and exciting which is over hundred-year-old and built by the British in 1901. The train is slow and bumpy, but it will be a crazy trip through the countryside with an opportunity to see and talk to local travellers. 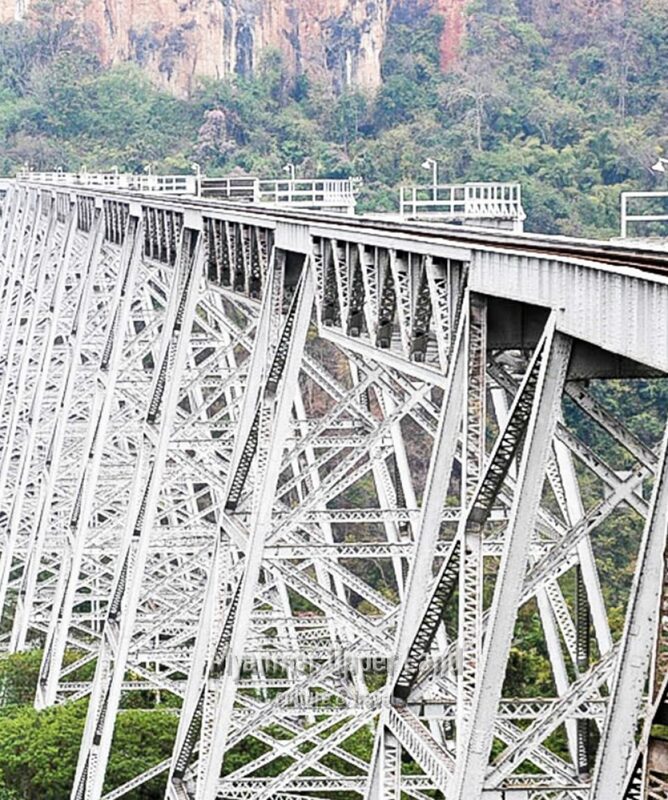 The main attraction is to see the stunning scenery and amazing the old Gokehteik Viaduct. You will enjoy the beautiful and breathtaking view crossing at the Gokteik Viaduct. When you arrive at Naung Pain station, the private car is waiting for you to continue to Hsipaw. You will get Hsipaw in the evening and take a rest at your hotel. Overnight will be at the hotel in Hsipaw. This morning you will visit for a half-day boat trip to the starting point of Dothawaddy river is an enticing option. While you are on a boat trip can explore charming Shan village with traditional houses and the beautiful river confluence. You can also see the typical Shan style Monastery by walking approx; 45 mins crossing pineapple plantations and fields. Come back and afternoon visits the highlights of Hsipaw. 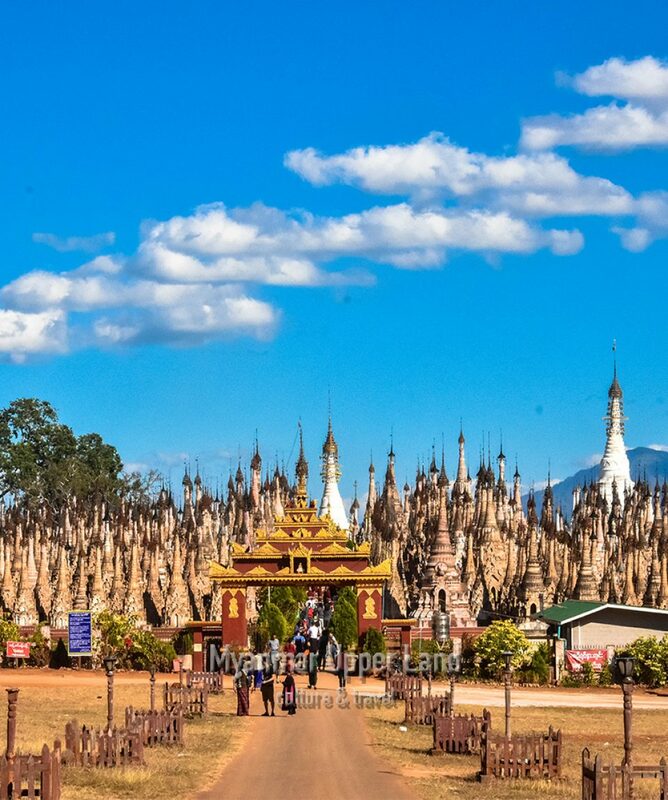 The Palace of the last Shan Prince is the first interesting place for traveller who comes to Hsipaw and also a chance to explore a little Bagan (where many small ancient stupas existed), Nat Shrine and local market. Even you can view the sunset from the top of the Hill in the evening. Overnight will be at the hotel in Hsipaw. This morning after checking out of your hotel, you will explore the local market first and drive back to Mandalay. You can make the stops and explore the culture of the other villages along the way back to Mandalay if the time is allowed. You will arrive back to Mandalay from an exciting trip from Northern Shan State. Overnight will be at the hotel in Mandalay. In the morning, transfer to Mandalay airport flight for Heho. On arrival to Heho airport, our car driver will pick you up with your name board and drive to Kalaw and drop at your hotel. Kalaw is an old hill station with a laid back environment, refreshing climate, and scenic views. Enjoy your free time to explore as you pleased in Kalaw on your arrangement. Overnight will be at the hotel in Kalaw. In the morning, the private car and local trekking guide will pick you up and transfer to the starting point of trekking trip to Inle Lake. He will take you to get a taste of the local life of ethnic groups like Danu, Pa-O, Palaung, and TaungYoe at their hill tribe villages and to enjoy the beautiful views of the Shan Hills surrounding Kalaw. Your lunch will be at a local community and continue your trekking to another village to stay overnight at the hill tribe village. After the breakfast time, your trekking will be continued more or less 3 hours and then take a boat crossing the Inle Lake to check in the hotel at NaungShwe. The rest of the day is free for you to explore as you pleased. Overnight will be at the hotel in NyaungShwe. Today you will visit Indein, a small village located on the western bank of the lake, then sightsee. Come back to Inle lake and travel more about Inle Lake. You may see the lovely and atmospheric Inle Lake, leg rower boat fisherman, Phaung Daw Oo Pagoda; a famous principal shrine with five Buddha images, silversmith workshop, weaving from lotus fibres and cheroot making and so many amazing traditions of Intha. Overnight will be at the hotel in Nyaung Shwe. In the morning you will be transferred to Heho airport and flight to Yangon. You will be picked up at the Yangon airport by our guide and visit the highlight of Yangon city. Visit Bogyoke Aung San Market, and at least you can buy the Burmese style slippers or a Longyi(Sarong-style lower garment) before you leave. Our tour guide will lead you the whole day. Overnight will be at hotel in Yangon. Today is a free day, and you may adjust your time for your international departure. Airport transfer will be arranged for you. Padaung lady from Inn Lay Lake. We use good and clean hotels for our valuable clients and our online price are based on the 3 stars hotel categories as we intend for the most pleasure for all travelers. If the mentioned hotels are fully booked on your travel date, then we will try to book alternative hotels which are in the same level. But if you request for luxury or budget hotels we are happy to offer the update price for this tour. Please let us know in advance. If you book this tour during water festival (13 to 18 April 2019), our tour price will be changed and kindly contact us for the extra charges. If you have any more question please contact us this email (office@myanmarupperland.com). What do I need to bring with me to do this tour?I am solo traveler and can I book this tour?What is the best time to do this tour?Do you offer other services for my extension trip? What do I need to bring with me to do this tour? I am solo traveler and can I book this tour? What is the best time to do this tour? Do you offer other services for my extension trip? We suggest you to carry slipper and something to protect from the sun and the dusts. Shorts or sleeveless tops and shoes are not allowed to enter place of Pagodas and Religious area. Trekking shoes should be ready for trekking days in Kalaw and raincoat is suggested if it is raining season ( June – September). We operate this tour in privately as we, MUL considered to the privacy of the travellers and not sharing with other travelers. But solo traveler can still book for this tour with reasonable (solo) price by choosing 1 pax at our checkout page. We have three season in Myanmar, October to February is Winter (cold) season with average temperatures 20-24 C, March to May is Summer (hot) season with average temperatures 30-35 C) and June to September is the Monsoon (rainy) season, with high rainfall and average temperatures 25-30 C.
We offer this tour almost whole year and except raining season. The best season to do this tour is Winter season (Oct – Feb). We offer other travel related service such as domestic flight tickets, hotel bookings, Tour guide services, other transportation services and extension tour packages depend on your request. Please contact us at office@myanmarupperland.com. No. B-5, 27th street, Between 71st & 72nd Street, Mandalay, Myanmar. 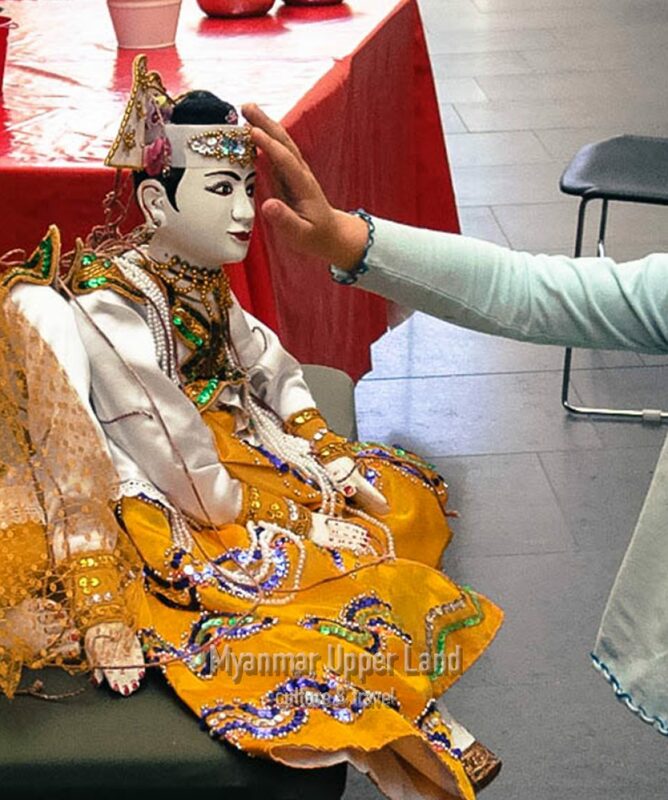 Copyright 2019 Myanmar Upper Land Culture and Travel. A Glance of Zeagwat, Inc.